Polanski + Arkitip Newspaper Lanciare, Magazines | Arkitip, Inc.
Polanski, STD Records and Arkitip have partnered to produce an exclusive zine entitled Lanciare – an Italian expression that translates in English to flip. The print publication is supported by a collectable cassette tape containing music from the Save The Day (STD) Records catalog. Under creative direction from Polanski, the book and cassette tape package brings together work from creatives stationed in the US and around the globe. 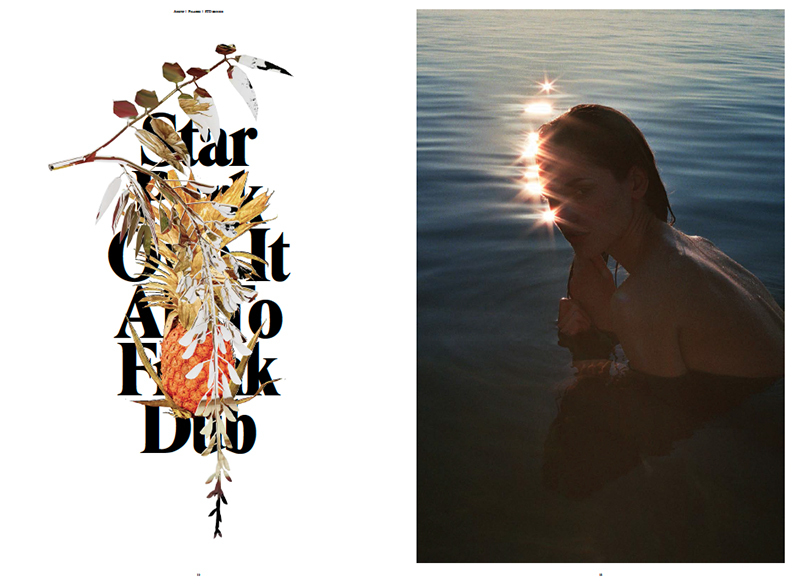 Throughout the 28-page art zine, work from fashion photographer Alessandro Casagrande (Italy) and designer Tina Joyner (USA) collide to produce this unique two-part release. The zine showcases imagery shot by Casagrande and depicts two female subjects on a desolate beach off the Italian coastline. Collaged over the women and over song lyrics on adjacent pages, are designs from Joyner. The exclusive cassette tape has been curated by musician and DJ, Thomas Bullock (England) and features a track list of tunes from both himself and artists on his STD Record label. The combination of bare bodies and bold fruit graphics, paired with leftfield sounds transforms the final product from a flat editorial into an addictive, vibrant viewing and listening experience. This edition was made possible with generous support from NOAH Clothing.